Xenon Group | Management Consultancy – Supply Chain. Solved. customer experience for many years to come. fundamental change to the purchasing process. and can dramatically improve operating costs. organizational performance resources and capabilities. and unlock measurable EBITDA value. that is laser-focused on execution. and customize and prove crucial to overall program success. consultancy that brings focused execution to deliver tangible EBITDA value for its clients. accountability and an overarching desire to help our clients win in the marketplace. We fully understand that our success is predicated upon that of our clients. David Kelly is the founder and Managing Director of Xenon Group and brings nearly 25 years of public and private sector operational experience. David is the former VP and Global Lead for Service Delivery at Brightstar, a $10B provider of supply chain services. He began his career in the private sector with Accenture after serving 5 years as an Intelligence Officer in the U.S. Marine Corps. During his 11-year tenure with Accenture, David led a variety of transformational supply chain, procurement and business operations programs. David’s industry experience includes: private equity, telecommunications, retail, healthcare, energy, media and high tech, government, consumer packaged goods and homebuilding products. His international work experience includes locations such as Australia, Hong Kong, Italy, Japan, Korea, Mexico, Qatar and Spain. He holds an MBA from the University of Colorado and an APICS Certification in Production and Inventory Management. David lives in Denver with his wife and two children and enjoys quality family time and just about anything outdoors. Fred currently serves as the President, Chief Executive Officer and Board member of DexKo Global. He has significant experience running global operations and growing businesses while working with world-class companies. Prior to joining DexKo, Fred served as the CEO of Maxion Wheels, a $2.4 billion global automotive equipment supplier and the world’s largest wheel manufacturer. Before holding the CEO role, he led Maxion’s $1.2 billion European operations. He has previously held the position of COO and President of International Operations at Hayes Lemmerz, leading the company’s sale (to Maxion) and the divestiture of non-core businesses while significantly globalizing the core business. Fred’s experience also includes six years running an international business with significant operational experience at Honeywell/Allied Signal and seven years in operations, finance and strategy at Frito Lay. Fred has a BS in Industrial Engineering from the University of Cincinnati and attended the Harvard Business School Advanced Management Program. In his spare time, Fred enjoys traveling globally with his wife and two children and skiing the high country of Colorado. Ramon Colomina is an Executive Partner with Accenture with nearly 30 years experience, primarily in the High-Tech and Communications industries. Prior to returning to Accenture, he served for six years as a Senior Vice-President with SoftBank, holding multiple leadership positions within the group companies (COO at SoftBank Product Group and CPO at Sprint). In addition to Accenture and Softbank, Ramon has held management and senior executive positions at Hewlett Packard, Sony and British Telecom. With Accenture, he has worked with clients such as AT&T, Verizon, T-Mobile, Sprint, Charter Communications, Alstom, Dell and Lockheed Martin among many others. Ramon holds an Engineering Degree from the Telecommunications Engineering School of Barcelona as well as APICS CPIM and CIRM certifications. Additionally, he is certified by the Federal Aviation Administration as an Airline Transport Pilot and an Instrument/Multiengine Flight Instructor. In his spare time, Ramon spends as much time as he can with his two beautiful daughters, running outdoors and enjoying his flying privileges in the spectacular Rocky Mountain region. Darin Powers serves as President and Chief Operating Officer for NT Concepts, a mid-tier firm that delivers advanced technology solutions to the federal government. Additionally, he leads Verum Partners, a niche growth and leadership consultancy. 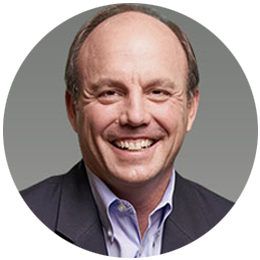 Formerly the Chief Operating Officer of Toffler Associates, a strategy consultancy, Darin brings his talents to both commercial and governmental organizations, enabling clients to excel in our rapidly changing global marketplace. 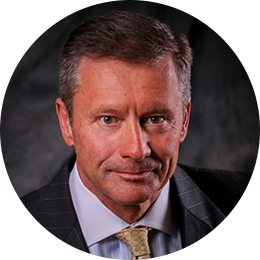 Prior to Toffler Associates, Darin served in executive and director roles for both DynCorp International and Northrop Grumman and held multiple command and staff roles as a Marine Corps officer. He now actively serves in Board of Director and Senior Advisor roles. Darin is a catalyst for positive change with a passion for investing in others and launching their success. He has nearly 30 years of experience leading corporations and governmental organizations through large-scale transformations, generating significant EBITDA value in the process. Darin has repeatedly been called upon to envision and articulate new directions, translate strategy into effective operations, launch start-ups, accelerate expansion and recover and optimize businesses. 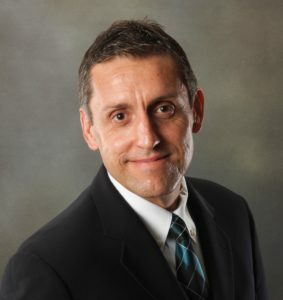 A business-minded technologist at heart, Darin possesses an MS in Space Systems from the Naval Postgraduate School, a BS in Electrical Engineering from Drexel University and has taken executive education at the business schools of both the University of Chicago and the University of Virginia. Our consulting delivery model relies heavily upon our network of independent professionals, each of whom is rigorously screened. The vast majority of our consultants have upwards of 20 years of deep domain expertise and bring a combination of both consulting and industry experience. We take great pride in our ability to craft solutions that perfectly match our clients’ needs by flexibly deploying “A Player” talent. Ramesh Dorairaj has 19 years of experience in enterprise strategic sourcing of direct and indirect categories, cost reduction, P2P process optimization and overall procurement transformation. Ramesh has a proven track record in exceeding ROI targets by working with senior leaders to drive the required organizational changes to achieve results. He has excellent communication and negotiation skills and is adept at the application of best practices. 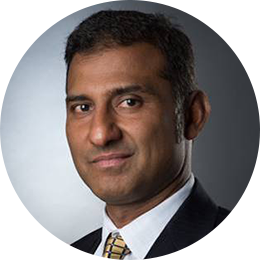 Ramesh holds a BS in Metallurgy Engineering from the National Institute of Technology, Tiruchirappalli and an MBA in Supply Chain Management/Information Systems from Michigan State University. 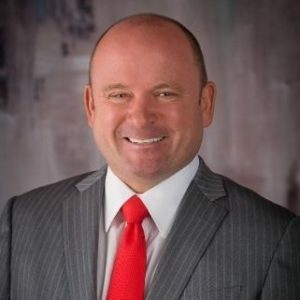 A 5-year veteran with Ariba/Freemarkets, Bernie has nearly 20 years of professional experience in both public and private organizations, to include more than 15 years of strategic sourcing and supply chain consulting. He has developed deep expertise in creating sourcing strategies for complex service categories; specific areas of expertise include: technical and corporate services, construction services, facilities maintenance services, IT outsourcing, software and telecom services and energy efficiency programs. Industry expertise includes: government, utilities, manufacturing, consumer products, automotive and aerospace. Bernie holds a certificate in Logistics and Supply Chain Management from Georgia Institute of Technology, a Master’s in Public and International Affairs from the University of Pittsburgh and a BA in Social Sciences from St. Bonaventure University. Alex has a wide breadth of experience delivering systems and applications that turn data into information. His information technology experience spans security, database design and administration, business intelligence and infrastructure with a specialization in functional data modeling and Agile software development methodologies. He champions IT as a strategic partner by working with cross-functional stakeholders to establish a shared vocabulary and ensures that information systems remain outcome-oriented by arming end-users with the tools and information they need to excel in their roles. 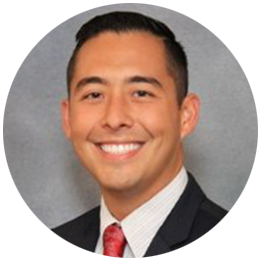 His early career consisted of participating in a leadership development program in IT for Textron, rotating between Bell Helicopter and Marine and Land Systems military contractors. Alex holds a dual major in Information Systems and Supply Chain Management from the University of Maryland. David parachuted into a high priority, time boxed effort for process documentation assessment alongside another parallel team. The quality of his work and insights led to an expansion of his role to include a consolidation of all this analysis and involvement in a much farther reaching effort to assess and action opportunities for material improvement across the organization. Over the course of an almost 18-month project, David was a critical member of the team both in his direct work and as a trusted fire fighter in a variety of capacities. 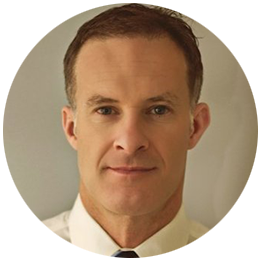 Dave brings an invaluable balance of intelligence, experience and systematic methodology to everything he does. We are a better company due to his contribution.